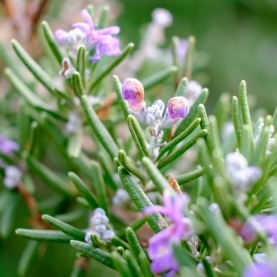 Stillpoint's Rosemary flower essence holds the energetic imprint of the flower and leaves of the Rosemary plant. The plant from which the flowers and leaves came is at least 25 years old. To us, it is a sacred bush on our property. This particular flower essence holds the intention of remembering, cleansing, purification, and love. A word about flower essences in general - Flower Essences capture the energetic imprint, or signature of a plant. Flowers are the highest expression of the life force of a plant, this energy and expression is transferred into and captured by water, and preserved with brandy. Recent research indicates that water holds memory and also has a consciousness.